The co-founder of an international nonprofit who was sought out by actor Jeff Bridges to make his Boston-based R.I.P.D film set “plastic bottle free” will headline an April 10 event focused on the impact of disposable plastic in our oceans. In conjunction with Bridges, Plastics Pollution Coalition co-founder Dianna Cohen advised an initiative to replace disposable plastic bottles with filtered water in stainless steel bottles. Refusing plastic water bottles is an easy way to eliminate exposure to toxic chemicals that have been linked to cancer, infertility and other health concerns. How to change your habits and reduce the use of disposable plastics is the focus of the April 10 luncheon at the New England Aquarium IMAX Theater. It will be led by Cohen and Kathleen Frith, a Harvard Medical School sustainable food expert. The event, entitled “Plastics in the Ocean and Plastics in You,” is hosted by Women Working for Oceans, W2O, a local organization that aims to promote healthy and sustainable oceans through education that inspires advocacy and action. “Disposable plastic appears to be a cheaper option, but there are invisible costs to our health, environment and ocean,” Cohen said. 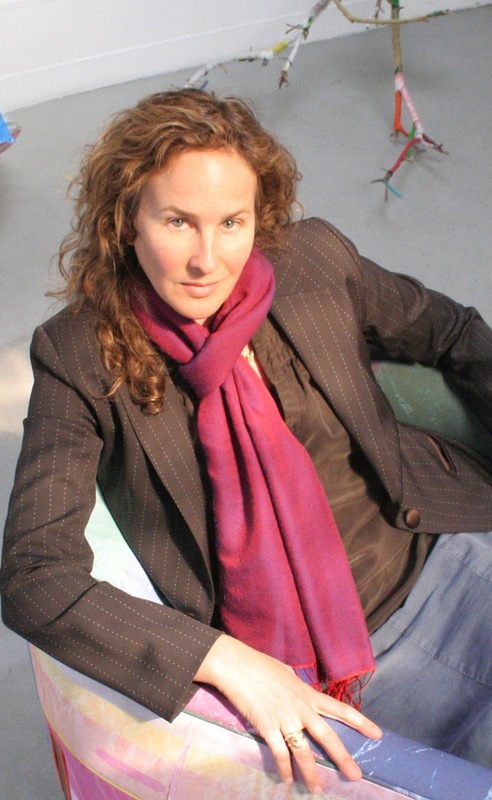 Cohen, an internationally shown Los Angeles-based visual artist, uses recycled plastic bags as her primary medium in artworks, sculptures, and installations. Cohen works to raise awareness about the toxic implications of plastic pollution and provides simple solutions to cut down the amount of single-use plastic used and thrown away. PPC’s Plastic Free Campus initiative works with high school and colleges to reduce and hopefully eliminate plastic bottles, cups, straws, utensils, and other food packaging. Frith is managing director of the Center for Health and the Global Environment at Harvard and runs the center’s Healthy and Sustainable Food Program that educates the public on food that is healthy for humans and the environment. W2O was founded by Barbara Burgess and Donna Hazard, both of Weston, who wanted to mobilize and educate the community about how the health of the world’s oceans affects nearly all aspects of our lives. Tickets for the April 10 event cost $55 and include lunch. The event will be held at 11:30 a.m. at the New England Aquarium IMAX Theater, Central Wharf, Boston. For more information visit the W2O events page, call 617-226-2143 or email womenworkingforoceans@gmail.com. Plastic pollution is something that the Aquarium's global explorers encounter regularly on expeditions, as seen in this post by Dr. Greg Stone from Raja Ampat, Indonesia. Dr. Stone has also written news stories on the subject. The Joint Aquarium Fiji Expedition cleans up bags of plastic trash each year on this remote island in Fiji.